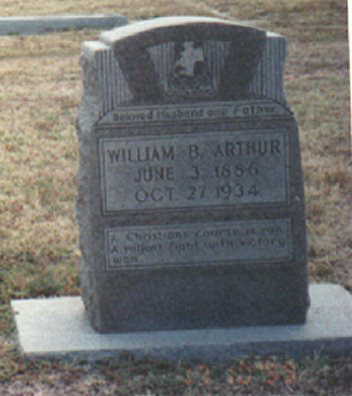 Sheriff William Arthur was shot and killed with his own weapon during an escape attempt from the Dickens County Jail. Two prisoners had asked him to fix some stopped-up plumbing and as Sheriff Arthur walked past their cell one of the inmates grabbed his gun and shot him in the neck. The suspects escaped but were apprehended. 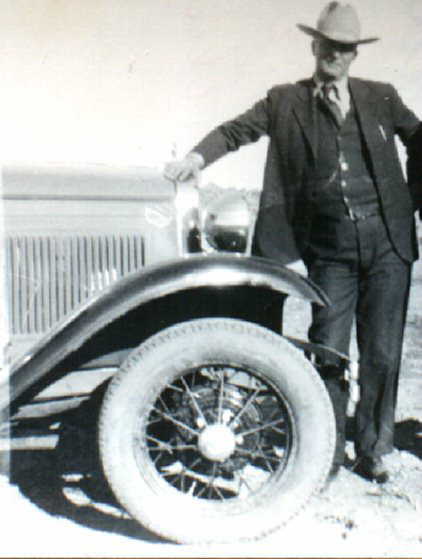 The shooter was sentenced to death and executed on May 4th, 1936. The other suspect was sentenced to 99 years. 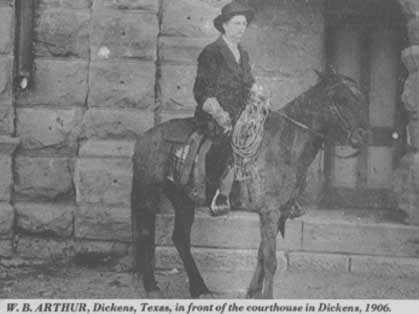 Sheriff Arthur had served two terms as sheriff and had been nominated for a third term. He was survived by his wife and five children. To fully appreciate the heroes of the present, we must recognize our heroes of the past. Your heroism and service is honored today, the 80th anniversary year of your death. I am privileged to leave a tribute to you. Your memory lives and you continue to inspire. Thank you for your service.